“When a man and a woman are married in the temple for time and all eternity and then separate, the children will go with the parent who is justified and who has kept the covenants. If neither of them has kept his covenants, the children may be taken away from both of them and given to somebody else and that would be by virtue of being born under the covenant. A child is not to be sealed the second time when born under the covenant, but by virtue of that birthright can be transferred. (Questions Frequently Asked About the Temple and the Endowment. Salt Lake City: The Church of Jesus Christ of Latter-day Saints, 1981, 10). 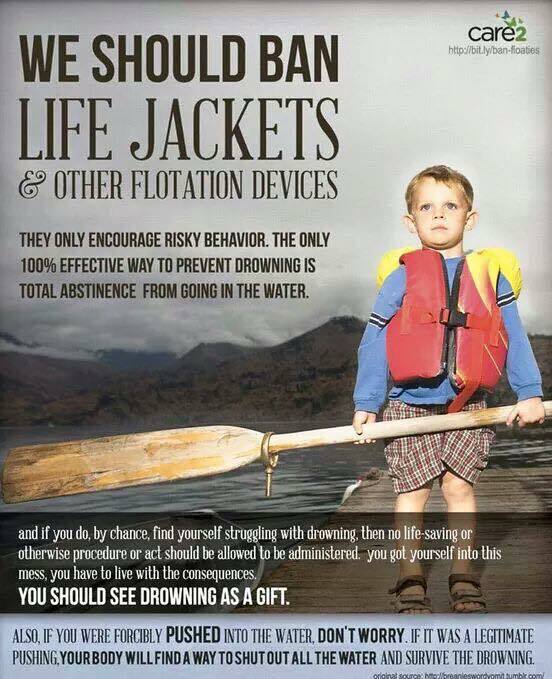 Sounds an awful lot like LDS adoption policy to me. Should anyone be wondering why LDS first mothers are such a hot mess most of the time, this is a perfect example of why. This is what we were taught from the time we were small enough to sit on our mother’s laps. That if we aren’t perfect, we deserve to loose our children. Not only do we deserve it, but we should expect it, too. LDS first mothers have been taught since our youngest days that if any parent isn’t righteous enough, he or she will have their children taken from them in the next life and transferred to someone else, some more “qualified” and “worthy” couple. The pattern has already been set in our doctrine – we are mere players on a stage at this point. Parents that are “unrighteous” in this life lose their children and the more righteous (and infertile) ones feel perfectly justified in facilitating the transfer of those children into their family. After all, it is a pattern God has set forth for the eternities. Why not help Him along right now? with now and then a postcard from the homeland. I came across this Beckett quote in my reading earlier this week. I immediately thought of all my friends who are adult adoptees, the ones who have taught me what is feels like to live a life different than the one they were born into, a life manufactured by social workers, bishops, adoption brokers, grandparents, and most painful of all, their own mothers – regardless of how well intentioned she was or how much her choice was motivated by love. These adult adoptees are the ones who, with patience and honesty, have taught me the deep pain of growing up banished to a strange and foreign land, even if they came to love their adopted homeland and its inhabitants with a profound love. Beckett’s words sting this mother’s heart. They re-open wounds I have come to accept will never fully heal. It is true, I banished my daughter from her homeland in the name of love. I fell prey to the LDS church’s carefully crafted and well-planned “Adoption: It’s About Love” campaign. You know, the one created by Steve Sunday (currently on the Board of Directors for the National Council For Adoption) in partnership with Bonneville International and their copyrighted “HeartSell”® advertising techniques. Trusting, believing, and naive, I was led like a lamb to the slaughter with my daughter in my arms. And then, in the name of love, I sacrificed my own mother-heart when I placed my firstborn child on the altar of adoption, LDS-style. Twenty-two years later, I am still asking where was our ram in the thicket? Where was our delivering angel? Why weren’t we worth saving? But none of that seems to matter to some. The fact (the truth) remains: Regardless of my motivation or the reasons, I banished my daughter to the land of the adopted ones. Consequently, I am a persona non gratis into the eternities, at least according to LDS church doctrine. My heart tells me differently, common sense tells me differently, but the religion of my youth tells me she is lost to my family for the eternities, because of a “loving” God and the sealing ordinance. Love is banishment, with now and then a postcard from the homeland. He is right. And I am one of them. Me in 1992, seven months pregnant with my daughter. 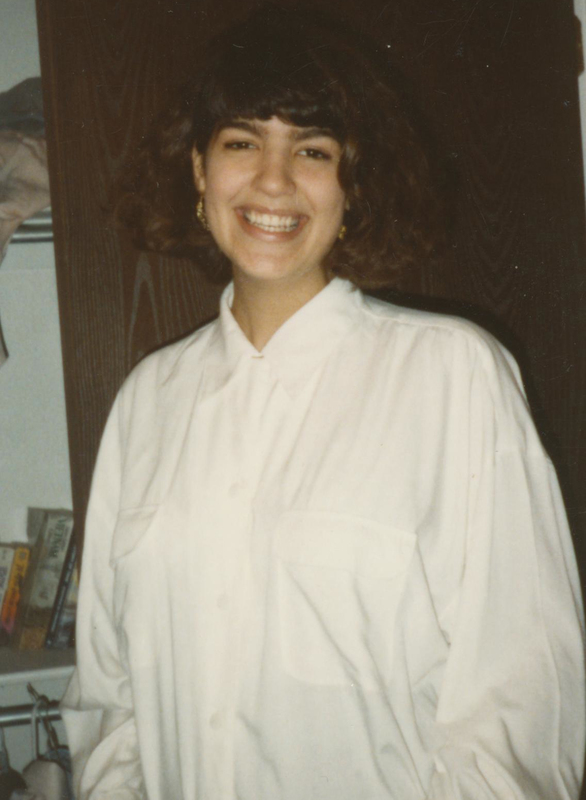 I am a mother, who without the extreme social, religious, and familial pressures of the LDS church and culture, would have raised my daughter and done a damn fine job of it, too. However, my reality is that unlike most other mothers of loss to adoption, it took eight months and 27 days from my daughter’s birth until I was overwhelmed by the unforgiving social and religious stigmas against unwed mothers in the LDS church. Like a tide that only flowed in one direction, it seemed a foregone conclusion from the moment I found out I was pregnant that it wasn’t if I would relinquish my oldest daughter, my beloved “Boo Bear,” for adoption, but when. That try as I might, it was God’s will for her to be raised by someone other than me and I should just stop fighting the inevitable outcome and ride the rolling swells out to sea. My reality is I was peppered with questions and comments reinforcing this idea. When are you finally going to do the ‘right’ thing and place her for adoption? When are you going to stop thinking of yourself and what you want? Why are you choosing to fly in the face of the prophet’s counsel by raising her on your own? Why are you putting your wants ahead of her need for the sealing ordinance? What are you trying to prove by raising her on your own – don’t you see she deserves a family who loves her? Why are you depriving her of a saving ordinance? If you really loved your daughter, you would let her be adopted by a married couple so she could have the saving ordinance performed. You know Melynda, the likelihood you will ever get married if you keep her is extremely low. Temple worthy men don’t date girls with babies. Doesn’t your daughter deserve so much more than to just be raised by you? If you truly love your daughter, you would place her for adoption with parents that can offer her more. My reality is the more I fought to keep my precious child with me, the more I was told I was being selfish, even cruel. Yes, a person I respected and trusted told me it was CRUEL and un-Godly to “selfishly” raise my daughter as a single mother. I was also told it was abusive to keep her. Not that *I* was abusive, but the mere act of raising a child as a single parent was inherently abusive. My reality is after eight months and 27 days of being a single mother, my faith in my ability to raise my daughter collapsed under this kind of extreme shame-based cultural coercion. My sense of worth to anyone, God included and certainly my children, was pulverized and crushed to a fine powder during those months. It has yet to fully recover. I’m not sure it will ever make a full recovery in this lifetime. Mr. Pertman doesn’t make such an assertion lightly – years of research back up his statement. Shame and coercion in adoption inflict “profound and lasting” wounds on birth mothers. Research wasn’t wrong about that, at least not in my case. As difficult as Mr. Pertman’s summary of research findings is to read, it is comforting to know a *man* – an adoptive father, at that! – can understand what many others fail to grasp about losing a child to adoption. One should note I do not sit around nursing these “profound and lasting” wounds 24/7, regardless of what some readers of this blog think (and express in their emails to me). Just as many other Philomena’s have done across the years, I have carved out a great life for myself in the midst of this loss. I have learned to live well in spite of this ambiguous loss and unresolvable grief. I have come to terms that these “profound and lasting psychic wounds” are in my life to stay for some time – perhaps permanently – but they needn’t dictate my relationships with my children or others. Yes, the wounds are still there 20+ years on, but now they are mostly like old curmudgeons reminding me to listen more closely, love more readily, and treat myself and others with greater compassion. There are other important things Mr. Pertman has to say about the lessons Philomena can teach a broader audience, so please take the time to read his article. There are broader lessons to be learned, if only people will listen and are willing to be taught. single fathers. These are temporary states. In the eternal scheme of things—not always in mortality—righteous yearning and longing will be fulfilled.” (Boyd K. Packer, 2012. And a Little Child Shall Lead Them). Fortitude, and Fulfillment: A Message to Single Parents). I wonder if these merciful and compassionate words of an Apostle and an Elder in the church made any of them wonder how different their life would have been if they had been met by LDSFS counselors and church members who held the same views? Did it prick their conscience even a bit? Or did they continue on their merry way, continuing to believe it was “God’s plan” to use their uterus and their body to get a baby to the “right” family, believing they would never be able to offer an eternal family status to their child, even when an Apostle declares it a temporary state? I wonder, will they continue to advocate and recruit other mothers as intensely as they do, knowing mercy is over taking justice within the LDS church? I wonder, would they have made the same “choice” if, instead of spouting NCFA-sanctioned rhetoric, their LDSFS case worker, bishop, and parents offered the same hope held out by Elder Baxter? Can you imagine a bishop or LDSFS case worker reminding a single expectant mother her marital status was a temporary state (Packer, 2012) and in the eternal scheme of things, she can offer the idealized “more” – you know, an eternal family, a stable, happy home, and parents who are utterly devoted to each other AND that their children would call them “blessed” for it (Baxter, 2012)? What if she had been told she “need not fear for their future, and as they move forward with faith in raising their child, ‘providence will bestow its needful blessings’ ” (Baxter, 2012)? now. It is about solving the “crisis” in front of us now. It is not about being patient, trusting God’s plan and timing for us, and looking forward to the eternities with hope for our family, even if that family was create because of a wrong turn before marriage (Baxter, 2012). Just a few more thoughts about General Conference. Members of the Church of Jesus Christ of Latter-Day Saints are frequently accused of trying to earn our way in to heaven through our good works and righteous behavior, as opposed to the saving grace of Jesus Christ. I can see how many believe that; even some within our own church preach we have to earn our way into heaven. After all, we teach a person can’t be saved by grace alone, right? It has been hammered into the devout Mormon’s head throughout years of Primary, Young Women’s, and Relief Society. Grace has become a four letter word in the Mormon culture* because it is our good works that save us! Good works, good works, and more good works are what get us in to heaven!!!! So what about grace? Yesterday, I watched a devotional given by Brad Wilcox on July 12, 2011 titled “His Grace is Sufficient” that pretty much sums up what I have learned about grace. It can be seen at http://byutv.org/watch/49475abb-10d4-4f45-a757-7000b9945468 . It is finished. What a beautiful phrase, full of mercy. Of grace. Wilcox’s talk has set me to thinking about the issues of justice, mercy, and grace as it applies to single expectant parents in the LDS church. For too long, single expectant parents have only been treated with the hand of justice. This heavy hand demands perfection – perfection in families, perfection in people – and punishment when we fall short. Frequently when a young LDS woman falls short of perfection and finds herself single and pregnant, our culture* demands she pay the price for her sins: marriage or relinquish her baby. Any other option is considered selfish and of putting her “wants” about a child’s “needs.” The implied principle is through the “good works” of relinquishing her child, she shows she is willing to pay the price for her sins. But the miracle of the Atonement – the miracle of grace – teaches us that Jesus Christ has already paid that price. His grace is sufficient to cover us – all of us. However, many single expectant mothers in the LDS culture are treated as if grace stops short of their front door. They are treated as if grace doesn’t pay the price for them in full, just like it does every one else. We require the single expectant mother to prove her repentance by either marrying the man that got her pregnant or paying the ultimate price, by placing her broken heart, her mother’s love, and ultimately her child on the altar of adoption. Only then do we declare the demands of justice have been satisfied. So what is missing in this equation? Grace. The kind of grace that steps in and says, “It is finished. Jesus paid the debt, in full.” The kind of grace with bounty enough to enfold a mother and her growing child in the arms of merciful love, sheltering her from a culture that clamors for justice in the form of a hasty marriage or adoption. Grace, which whispers in a young mother’s ear, “You are enough.” The kind of grace that sits with a young mother while she labors her baby into the world and places the babe, still slippery with her mother’s blood and amniotic fluid, into the arms of her mother, not the arms of a more “qualified” woman waiting to take custody of this newest member of the human race. Yes, grace is what is missing. Justice we have plenty of. Self-righteous foot-stomping by people who have done it “the right way” and “deserve” a baby we have plenty of. What we need is grace. And lots of it. *Please note I said culture, not doctrine. There’s a BIG difference between the two in many instances. Unfortunately.